In this article I will show how to use a document template along with a content type. As you know content type can be configured against a list & library. In fact library is also a list. We can associate a document template along with a Document Content Type. This allows users to use a common format of document while they chose the New Document for the library. Create a new content type like below. Open MS Word application and create a new file. Save it as a document template format. Note that the extension is .dotx. Go back to the content type and choose Advanced Settings. Choose the above template in the Document template section as shown below. Create a new document library & set the above content type to the library. Choose the library & New Document from the ribbon. You will see the document is created as shown below. You can use the above technique for setting templates for an Excel library too. In this article we have explored how to set a document template to a content type. Content Type allows association of Policies as well. The policy will get applied to all the items or documents of the particular content type. Here we can explore how to configure them. Following are the steps to create a content type with policy. Choose Content Type > Advanced Settings link. In the appearing page you will see the following policies. Retention policies allow us to specify when the content should be moved or disposed. We can specify events like Created Date + 1 year for deleting the content after 1 year of creation. Auditing enables logging the editing, opening events along with the user information. Barcodes policies enable users to specify barcodes for the documents. Retention policy section is shown below. Auditing policy section is shown below. Barcodes policy section is shown below. Labels policy section is shown below. In this article we have explored how to configure policies for content types. In this article we can explore how to associate Workflows with Content Types. Workflow allows set of pre-defined activities to be executed. Workflows work using Windows Workflow Foundation 4.0 engine in SharePoint 2013. We can associate workflows against a list, library or content type. Here we are focusing on associating workflow with content types. Follow the steps below to associate a workflow with a content type. Create a new site content type named Expense. Then click the Workflow Settings and in the appearing page choose Add a workflow. In the appearing page you can choose the workflow & enter name, configuration settings. Choose the start option to start on creation of new item. You will get the workflow created as below. This concludes our workflow association. You can test the code by creating a content type item. Once the workflow is created, it will fire for all the items created based on the Expense content type. In this article we have explored how to associate Workflows with Content Types. In this article we can explore how to create a content type event receiver. We are using an existing content type of template type Contact. We are adding an event receiver which operates on the Item Add event. For time being, we are just using the event receiver to block the item adding with an error message. Open Visual Studio and create a SharePoint 2013 Farm Solution. Add a new Event Receiver as shown below. Open the XML file and choose the template id as 105. In the event handler code, use the following statements. Now you are ready with the event receiver. Build & Deploy the project. Create a new Contacts list in SharePoint. Try adding a new item & Save it. You should get the following error. This concludes our simple example of using event receiver against content types. The above event receiver will fire for all the Contact content type instances. You may wish to use advanced property manipulation based on your business scenario. In this article we have explored how to create an event receiver for a content type. In this article I would like to share a real-life scenario of using content types. Computer – CPU Cores, RAM, HDD Size, HDD Type, Users, Admin Users etc. Tablet – Model, Storage etc. The above scenario is good for content type. We can also apply content type inheritance here. Following is the Computer content type inheriting from base content type. Following is the Virtual Machine content type inheriting from Computer. Following is the Tablet content type inheriting from base content type. Do not forget to remove the default Item content type from the list. Now try adding a new item to our Resource Request list. You are ready now to expose the list to employees. They can generate new resource requests in a much easier way & the IT Support won’t miss any important parameters regarding the resource. Please note that unlike document libraries, the content type drop-down won’t appear in the new form Or along with the Create link. You need to do certain JS or CSS customization to enable this. In this article we have explored how to use content types in a Resource Request scenario. Adding workflows / alerts would notify the IT Support people immediately. In this article we can try creating a Content Type using Server Object Model code. Please follow the steps below to create the content type. 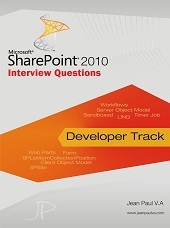 Create a Console Application & Add Reference to Microsoft.SharePoint.dll. Also make sure the project properties > Build tab > Prefer 32-bit is unchecked. Use the following code for the console application. The code is executed below. For custom columns, we are actually creating a Site Column through code (Fields.Add) & Referring it to the content type (FieldLinks.Add). You can verify the new content type being created or not from Site Settings > Site content types. Click on it & ensure the all columns are visible. You can use the SPFieldType enum for finding more types. In this article we have explored how to create content type using server object model code. The source code is attached for reference. In this article we can explore how to create a content type using XML Schema. Create a new project in Visual Studio. Choose Farm Solution. Add New Item > Content Type into it from the Office/SharePoint category of templates. Inherit from Item as parent. Close the designer view of content type & use Solution Explorer to open the XML view. You will get the following view. Replace the content with following. · The Elements section specifies the XML namespace url. We can include Field definitions here. Fields are first defined & later referenced. · The section Content Type specifies information on content type like Name, Description, Group, Version etc. · The FieldRefs section is important as it actually specified the Fields used in the content type. Please note that we are referring the Fields here which we defined previously. · Each Field Reference should include the ID, Name and Display Name of it. We can also refer existing Site Columns here by using the ID. We are using 2 custom fields & 1 existing site column here. Now save changes & Deploy the project. Once the deployment succeeded, open SharePoint to view the new content type in Site Settings > Site content types page. You can see the columns being showing up there. This concludes our content type creation using XML Schema. If you wanted to create different field types, please see the field types in references section. In this article we have explored how to create a content type using XML Schema.